Chautauqua has been entered for the Manikato Stakes and VRC Sprint in Melbourne. 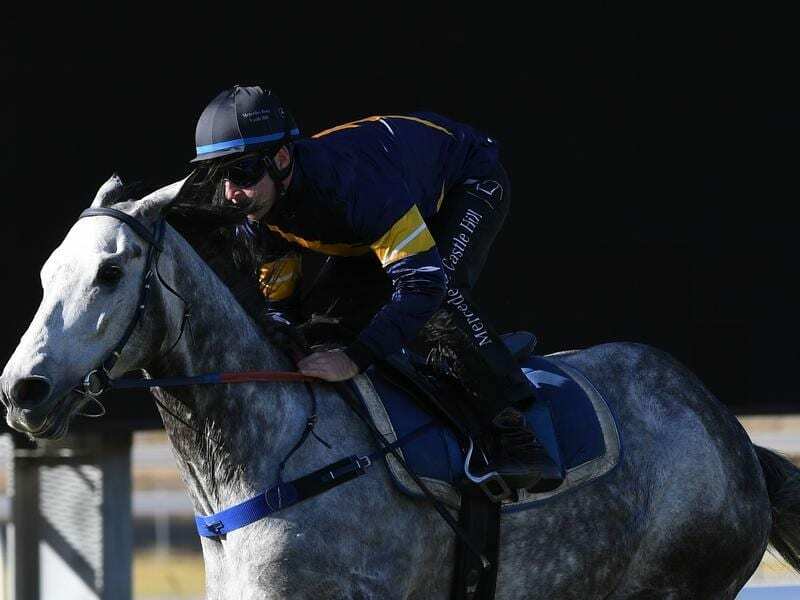 Barred sprinter Chautauqua is one of the headline nominations for two of Melbourne’s big spring sprints as he prepares for his moment of truth at Moonee Valley on Moir Stakes night. Nominations closed on Tuesday for two $1 million sprints, the Manikato Stakes (1200m) at the Valley on October 26 and the VRC Sprint Classic (1200m) at Flemington on November 10, with stewards allowing Chautauqua to be entered for both. “His ability to accept for either will be subject to him gaining a clearance to race once again,” RV said. The champion sprinter is currently not allowed to start in a race until he satisfactorily completes two barrier tests. He got the first tick of approval from Victorian stewards in a jump-out at Flemington last Friday and a seven-horse barrier trial has been arranged between races on the Moir Stakes program at the Valley on Friday night. If he successfully passes Friday night’s test the sprinter will be cleared for racing in Victoria. Irish trainer Aidan O’Brien has nominated four horses for both the Manikato and VRC Sprint Classic including U S Navy Flag who is in quarantine at Canterbury in Sydney ahead of the $13 million Everest (1200m) at Randwick on October 13. O’Brien has also nominated Intelligence Cross, Spirit Of Valor and Fleet Review. English trainer Charlie Appleby has nominated last Saturday’s Group One Sir Rupert Clarke Stakes winner Jungle Cat for both sprints but has also indicated Jungle Cat could step up to 1600m of the Toorak Handicap on October 13 for his next start. The Manikato Stakes has 58 nominations while the VRC Sprint Classic has 59 including a host of big names in the Australian sprinting ranks. The Victoria Derby (2500m) for three-year-olds has attracted 97 nominations while the VRC Oaks (2500m) for three-year-old fillies has has the same number of entries.